SKU: 50250 Spring Rose Fantasia Green Bed. Categories: Standard, Youth Bedroom. Tag: 50250. 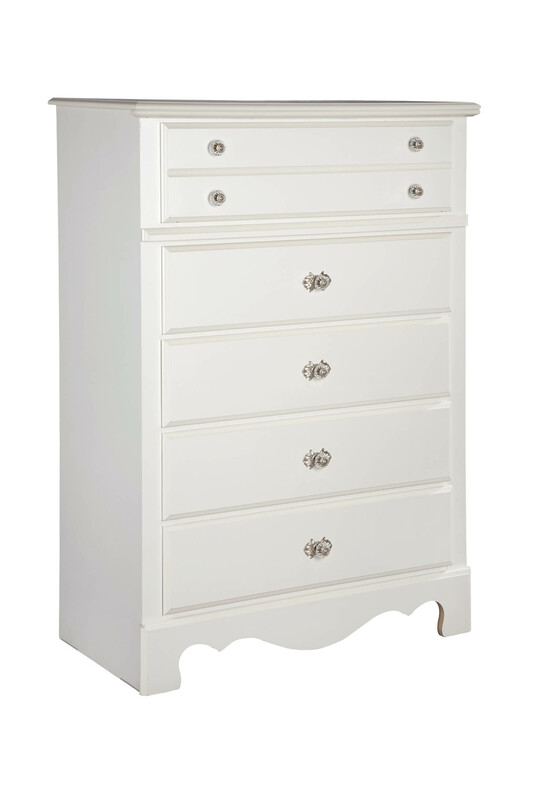 • Cases feature a narrow map drawer look on the top drawers, waist rails for case emphasis and gracefully shaped toe plate cut-outs. 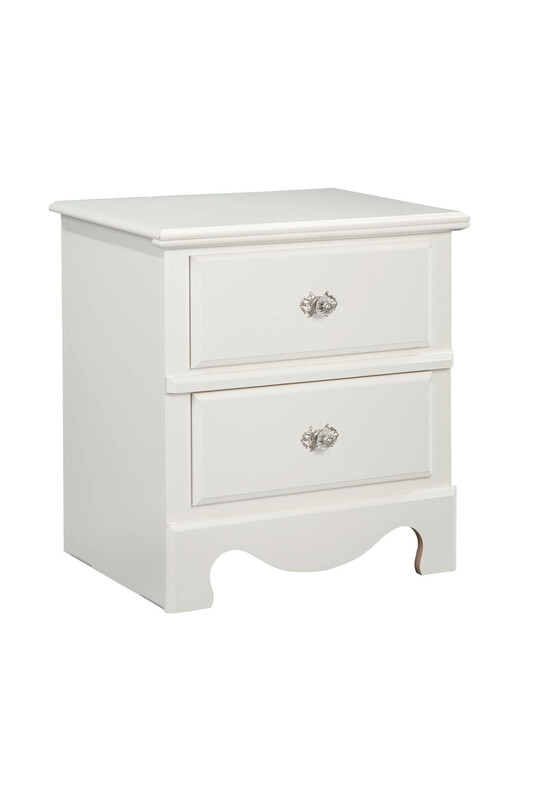 • Casepieces for clothing storage include a 6-Drawer Dresser, a 5-Drawer Chest, and a 2-Drawer Nightstand for the bedside. There is also a functional TV chest for media and game storage and a Student Desk with a pull-out keyboard tray. • Spring Rose offers curvy focal point metal beds and a coordinating vertical mirror that are finished in a soft brushed nickel color. Fluted clear acrylic ball finials decorate the post tops on all beds. • Finished in a soft white, Spring Rose cases are accented by clear acrylic knobs over embossed metal backplates in a brushed nickel color.